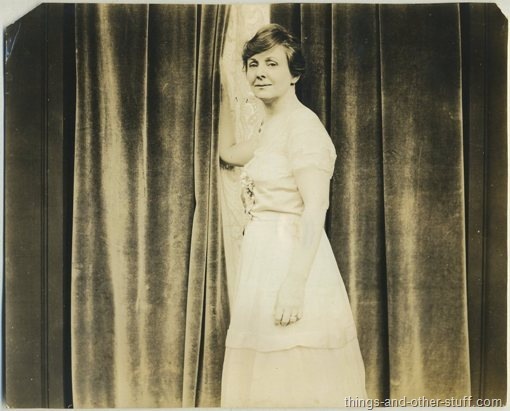 Margaret Mayo, born Lillian Elizabeth Slatten (November 19, 1882 in Brownsville, Illinois – February 25, 1951), was an American actress, playwright and screenwriter. She was raised on a Midwestern farm near Brownsville, Illinois. Later she was educated at the Girl’s College in Fox Lake, Wisconsin, the Convent of the Sacred Heart in Salem, Oregon, and at Stanford University. In her teen years, she traveled to New York City to pursue her acting career and that is where she got her stage name Margaret Mayo. She worked as many things, an adapter, film actress, and film company founding partner, playwright, theatre actress, and a writer. In 1901, she married Edgar Selwyn, a fellow actor. Until about 1917, Mayo averaged about a play per year. When she moved to New York City in her early teens, she won a small part in a play named Thoroughbred at the Garrick Theatre in 1896. Mayo continued her acting career until 1903. She ended up meeting her husband a few years prior to this in 1896. They were both acting in William Gillette’s play Secret Service. The same year she married is when she began her writing career. She began her writing with, Ouida's novel Under Two Flags. She then wrote adaptations of The Marriage of William Ashe in 1905 and The Jungle in 1907. Her earliest successes were adaptations of novels: The Marriage of William Ashe (1905) and The Jungle (1907). However, Mayo is best remembered as the author of more original plays such as Polly of the Circus (1907), Baby Mine (1910), Twin Beds (1914), and Seeing Things (1920), written with Aubrey Kennedy. She adapted several of her plays for the silent screen. 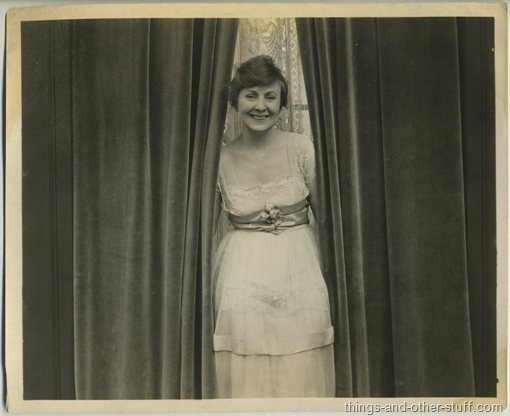 Her play Polly of the Circus became the first film produced by the Goldwyn Company in 1917, of which she was a founding member along with her former husband Edgar Selwyn. The play was again made into a film in 1932. In 1910, female writers wrote thirty percent of the plays produced in New York (Engle 29). Professional theatre on Broadway was particularly robust, and accomplished writers such as Mayo commanded $65–$100,000 for a new play (Engle 33). She was once challenged to write a play in a day and she finished in 23 hours. From 1903, Mayo had a variety of jobs. She won a commonly publicized contest by writing a four–act play in only 24 hours entitled The Mart. One of her most famous plays is named Baby Mine. She wrote this in 1910 about a wife who was trying to win back her late husband by pretending her orphan baby was her own. This play was produced at a place named Daly's Theatre. It ran for 287 performances. It was also translated in four other languages and performed around the world. A few of her other plays are Commencement Days, Crippled Hearts, and Twin Beds. Her work utilized parody and satire to talk about social issues. She believed in her writing that a way to keep the audience is to startle them. In 1917, Mayo became head of the scenario department of Goldwyn Pictures Corporation. She did not stay at in this position for very long. After a year she left to go overseas and entertain the troops. Her work there was finished when the war ended, but recreations of it took place later. A shock to the entertainment industry happened in 1919 when Mayo and Selwyn divorced one another. This was a major shock to the entertainment industry because they had collaborated on so many things together. After her divorce she legally changed her name to Elizabeth Mayo and moved to New York and lived with her mother. In 1926, she signed the Agreement of American Dramatists. This was a document that led to the foundation of the Dramatists Guild. Aside from this Mayo became very active in the community and selling real estate with Hudson valley real estate. During this time she sometimes wrote and sent in plays. As she got older she began to write about the spiritual world. Mayo wrote a play named Women’s World which she credited to the spirit world. Furthermore, she invented products, prototypes, and was interested in animal welfare. Mayo was instrumental in making housing arrangements for the Indian spiritual teacher Meher Baba at Harmon, near New York City, during his first visit to America in 1931. She owned and provided the stone house retreat where he stayed on this first trip. When my mother Laurie Eglinton Kalds was to give birth to Guy Kaldis, she asked her husband to find a place outside NYC where they were living. My father told me that she had regular visits from Eugene O'Neill, the great American playwright, to read his scripts as he respected her skill and judgements as a playwright. He also told me that after her divorce from Edgar Selwyn, she became a great friend of Louis B Mayer who took over the Goldwyn Picture Company. She often gave him valuable advice and affection, but was not granted credit for her contributions to MGM. She became a major real estate owner in Harmon overlooking the Railroad yards, but died poor having been cheated by a financial manager. ^ a b c d "Margaret Mayo – Women Film Pioneers Project". wfpp.cdrs.columbia.edu. Retrieved 2015-12-13. ^ a b c d e "archives.nypl.org -- Margaret Mayo papers". archives.nypl.org. Retrieved 2015-12-13.